Everything you experience in your day has the potential to be used for a blog post, so be curious and aware of what's happening around you. You'll get ideas when you least expect it! For example, recently I was in the GP surgery waiting room. The room was deathly quiet, apart from the occasional hacking cough. There were 2 mums, each with a young child, and both of these kids were being remarkably well behaved. But occasionally they said something or asked a question, and the mum would have a mini meltdown, 'shushing' them, when in all honesty they child wasn’t being loud at all. Did the mother fear being judged? Was the mother brought up to be small and quiet? Are people overly disapproving of kids behaviour? What would have been a different way of handling it? Be aware of your surroundings, of overheard conversations and have a curiosity - what can I take from this situation that will be useful, thought provoking or interesting for my readers/followers? Be prepared, and consider how you’ll note down your ideas. You could use the notes function on your phone, or you could jot it down in your diary. My preferred way is an ideas list on Trello.com, which I have on all platforms - PC, tablet and phone, so its always with me. And best of all, is FREE!!! Research is something you have to be VERY careful about, because often what we try to pass off as research is merely procrastination if we’re honest. So for this reason, I’d suggest being very time limited about this. This is the best way I know: One simple productivity trick to get more done. 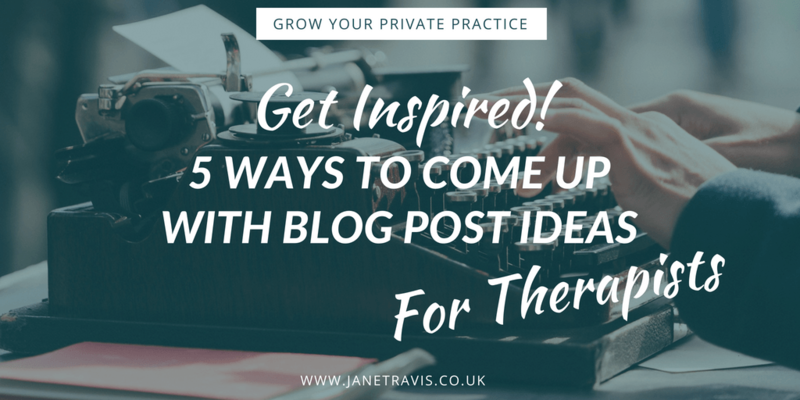 Just 5 minutes, no longer should get your creative juices flowing. Social media is full of beautiful quote images, and if you want to know how to produce than check HERE. They no longer have the impact they once had, but you can take this a step further and use a quote as inspiration for a blog post. Head on over to braineyquote.com, and find a quote that will resonate for your ideal clients, and make a beautiful image for it. But then, write about that quote. What is the message it's giving? If I find my mind is blank and I’m trying too hard, I grab my bag and head on out of the door. A change of scene always helps me flex my creative muscle, whether a coffee shop, pub, park bench or library, it never fails. Maybe you can make it part of the process. For example, every Monday morning, you visit your fave coffee shop for eggs Benedict and some creative time. When it comes to creative ideas, nothing beats the humble pen/pencil and paper. Your thoughts can flow so much more easily when you don’t have to navigate a keyboard - even if you're keyboard skills are good. Yes, you’re going to have to type it up, but actually there is a rather nifty way to deal with that: Google docs has a dictation function that’s recently been improved and is pretty darned good. This could also come in handy if you're dyslexic - speak into Google docs and get it spell checked, or use Grammarly.com, which is a free grammar checker. 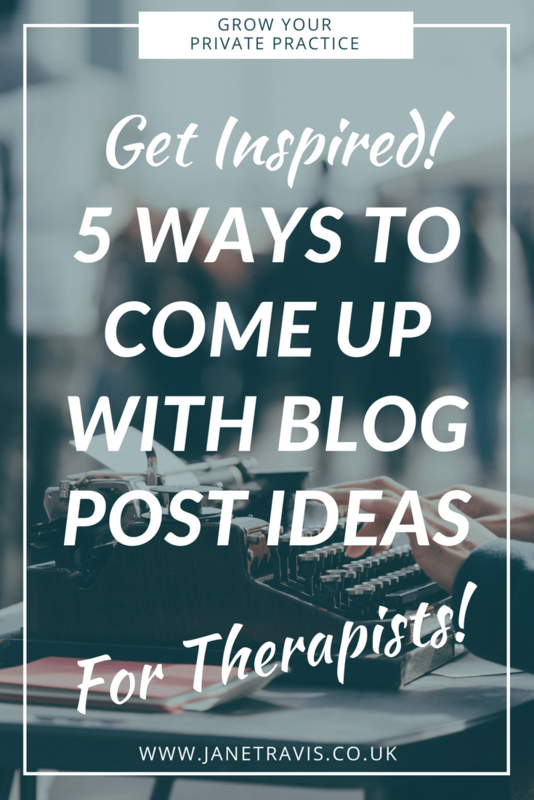 So there you are, 5 ways to come up with blog post ideas. All of them simple, all of them effective. 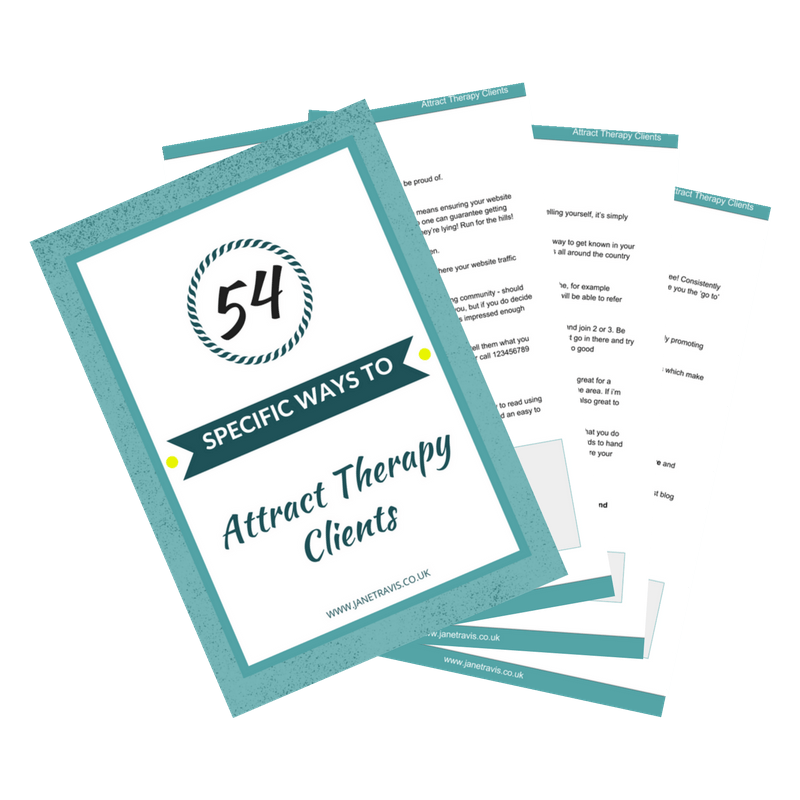 And if you want more inspiration, grab my FREE guide '101 headlines for your counselling blog', where I give examples of 101 blog post headlines for a single topic/niche.